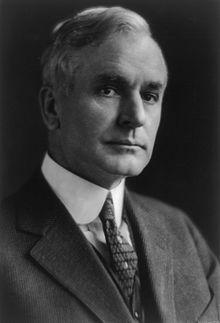 Cordell Hull (October 2, 1871 – July 23, 1955) was an American politician from Tennessee. He was the Secretary of State for 11 years. He received the Nobel Peace Prize in 1945 for helping make the United Nations. He was a lawyer in his younger years, and an Army officer in the Spanish–American War. He was a US Representative for over 20 years. He later was appointed to the Democratic National Committee. He then became a US Senator, but resigned because he was appointed Secretary of State. As Secretary he promoted a "good neighbor" policy towards Latin America and help for China in its war against Japan. He resigned from the secretary position when his health failed. He died in 1955 from heart attacks and strokes. This page was last changed on 10 December 2018, at 20:35.